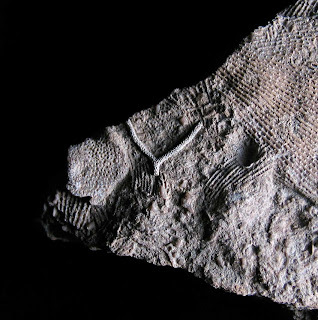 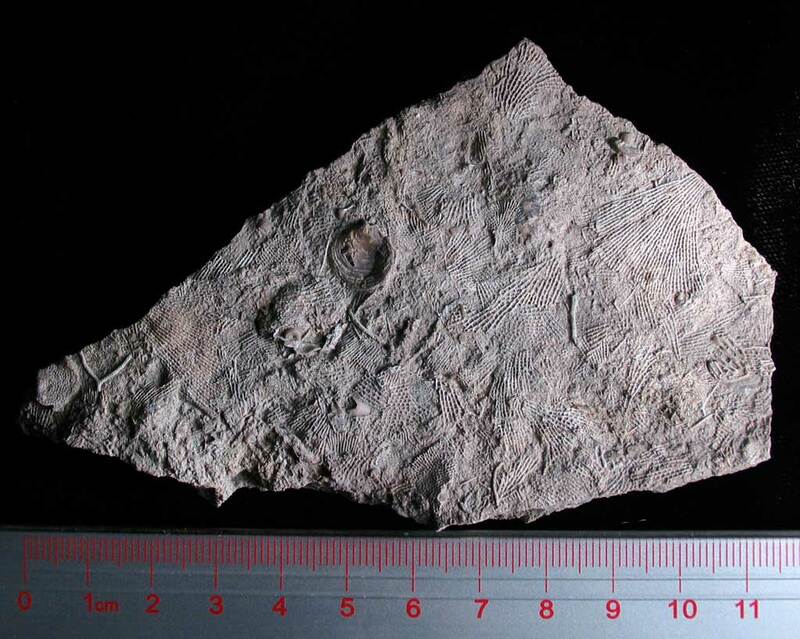 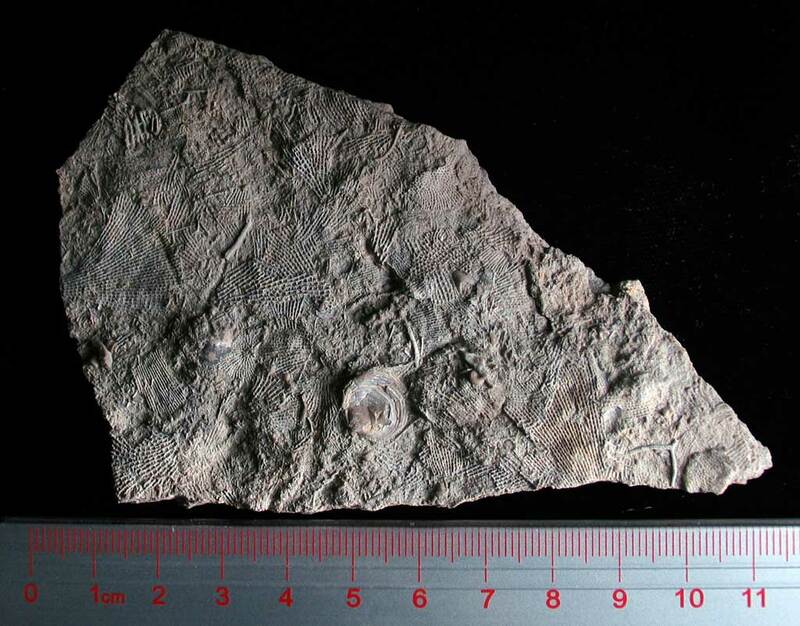 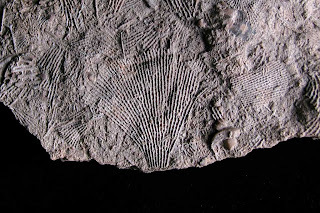 This limestone plate is quite attractive showing how the Fenestella bryzoan laid on the sea floor and became fossils. There is some biodiversity as well with an unidentified brachiopod (maybe Orthotodes) and a branching bryozoan in the shape of a chicken wishbone. 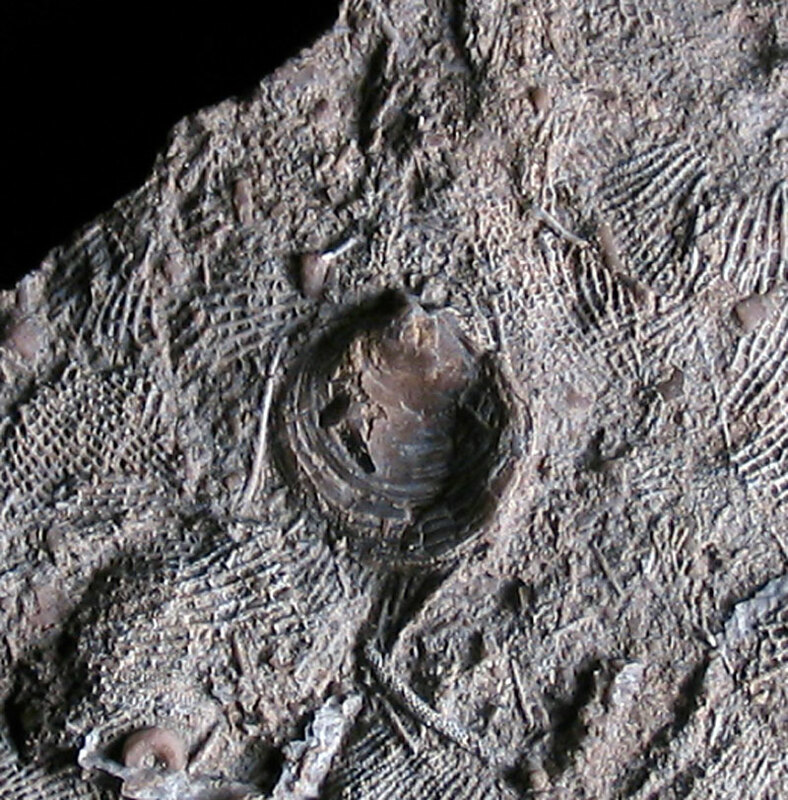 Fossils are from the Mississippian Period Indian Springs formation of Crawford County, Indiana.